When you think of a photography workshop, you might think of some far-off location around the world where you trek through strange and beautiful landscapes for days on end. 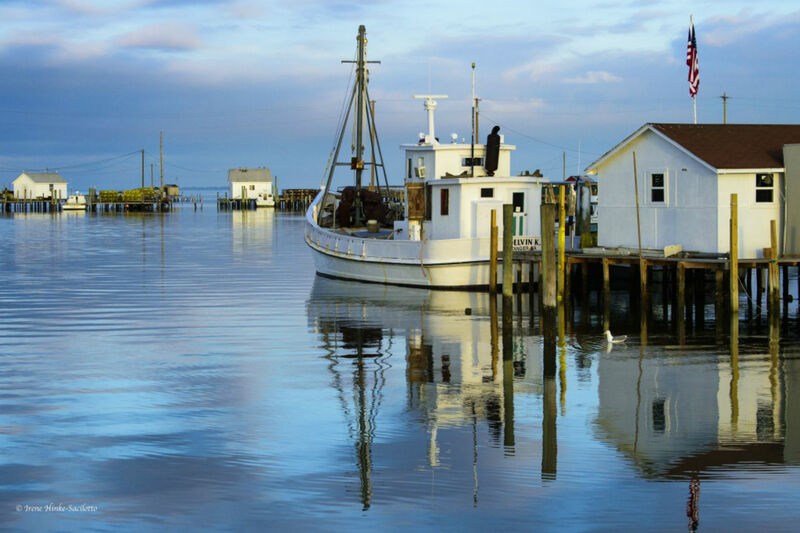 In fact, one of the most beautiful - and unique - places to visit with your camera is right here in the United States: Tangier Island, Virginia. 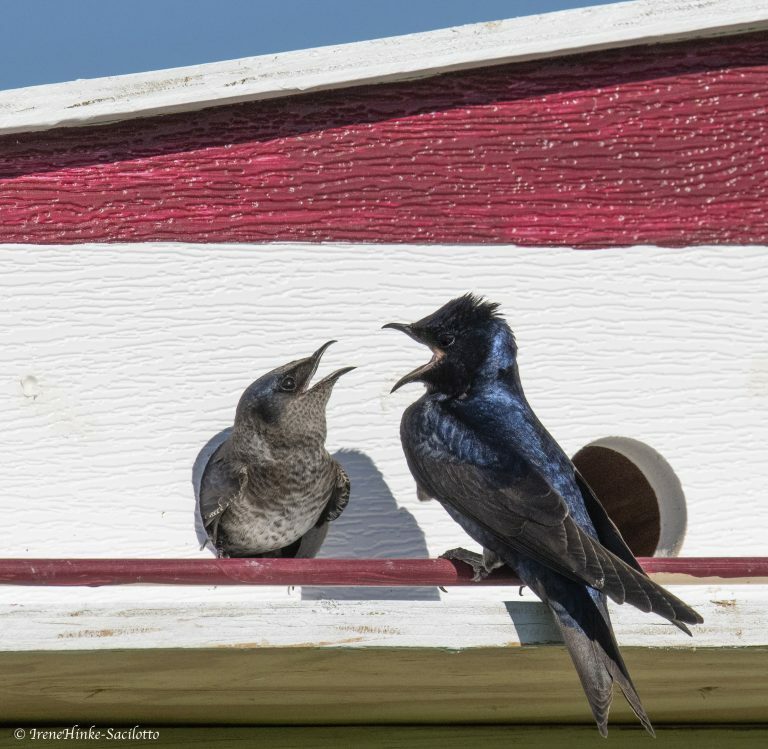 Editor's Note: The images used in this article are by our friend Irene Hinke-Sacilotto from Osprey Photo Workshops & Tours and are used with permission. 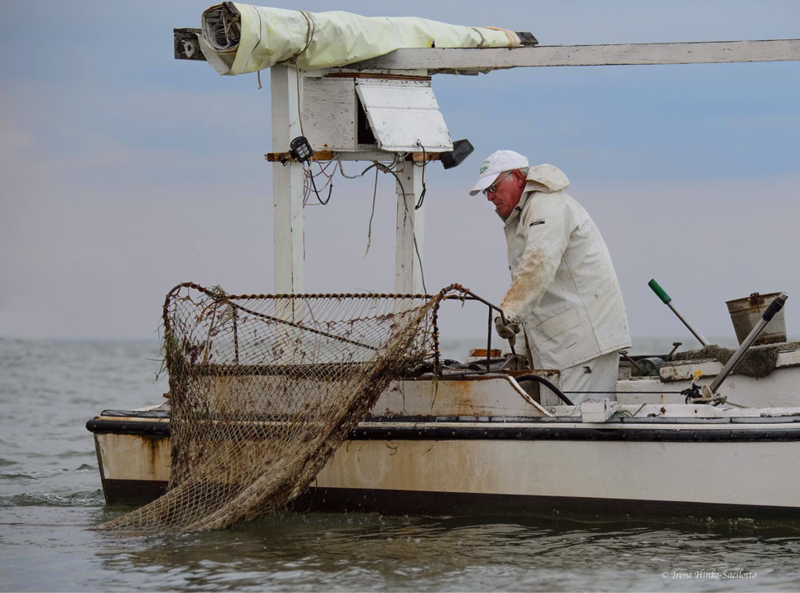 At just 1.2 miles in area, Tangier Island is just a dot in the waters of Chesapeake Bay. The island is 12 miles from either the Virginia or Maryland shore, making it one of the most isolated areas on the eastern seaboard. In fact, many of the island's 450 or so full-time residents go weeks, months, and even years without leaving the island. 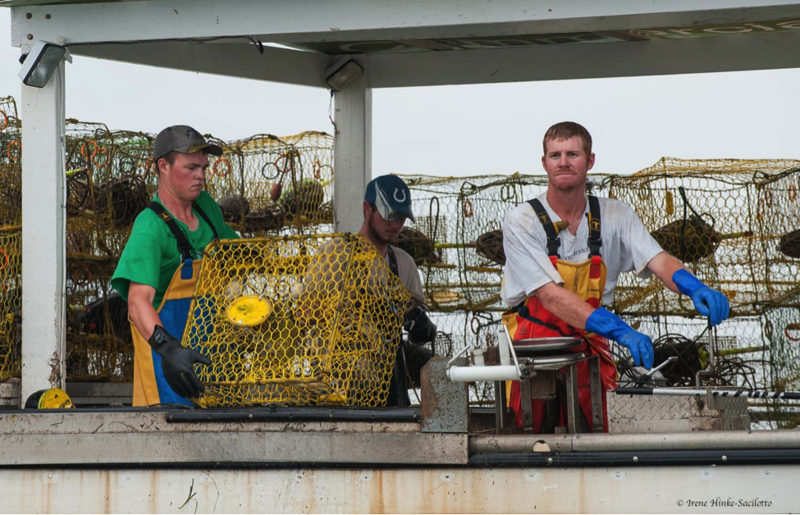 The island became home to settlers from Cornwall, England some 400 years ago, who quickly set about making a living by fishing, crabbing, and oystering in the Bay's fruitful waters in a profession that's come to be known as a "waterman." To this day, many of their ancestors earn a living in the exact same way. Many of the island's inhabitants also speak a very unique dialect of English that is part southern drawl and part Elizabethan English. The island is actually three ridges that are connected by wooden bridges that span the tidal creeks and marshes. 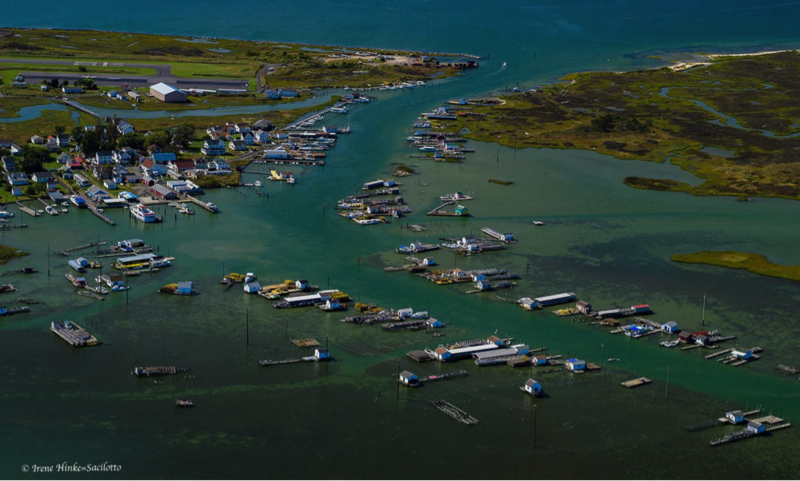 At its highest point, Tangier Island is just four feet above sea level, which puts it in danger any time that a hurricane rumbles up from the Atlantic Ocean. Erosion and rising sea levels are also threatening this gem. Some estimates are that the island will cease to exist in as little as 50 years, if not sooner. 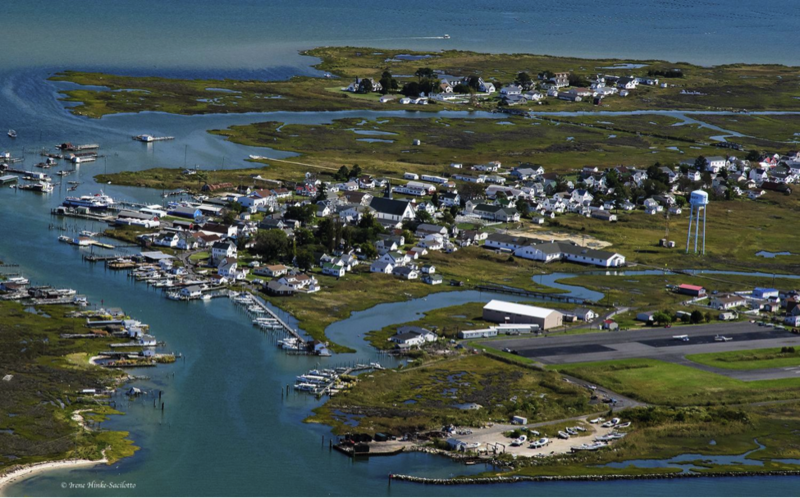 Compared to the 1800s, the island encompassed more than 2,000 acres with several communities located on a section abandoned in the 1920s and is referred to as the “Uppards”. Today, Tangier is ⅓ the size of the original island. That's part of the mystique of this island, though, that makes it such a fantastic place for photographers. The subject matter for a photo workshop on Tangier Island is incredibly varied. On the one hand, the watermen and their skiffs and work boats afford you a chance to highlight a way of life that has existed for centuries. Portraits of the workers as they load and unload their gear and sort their catches offer a glimpse into the daily life of Tangier's watermen. Unique offshore crab shacks where the waterman store and repair their gear line the channel leading to the main dock. On the other hand, there is abundant wildlife on the island, particularly birds. 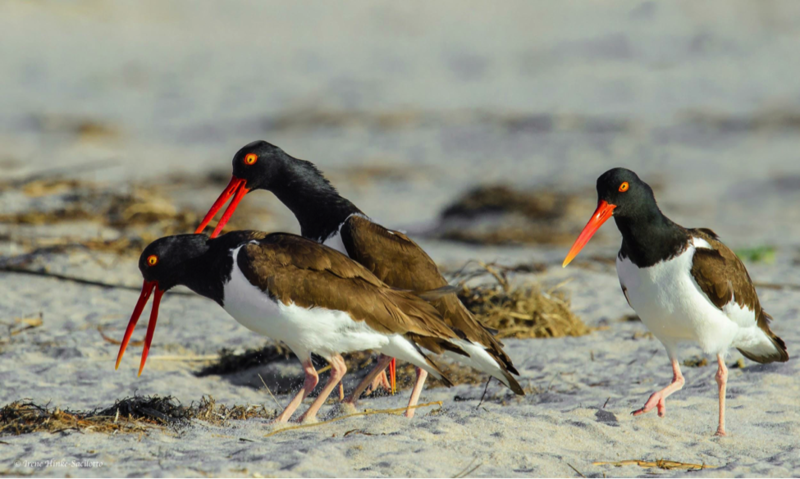 That includes herons, shorebirds, terns, and rails, as well as ducks, geese, skimmers, oystercatchers and pelicans that feast on the rich food supply that the Chesapeake Bay provides. 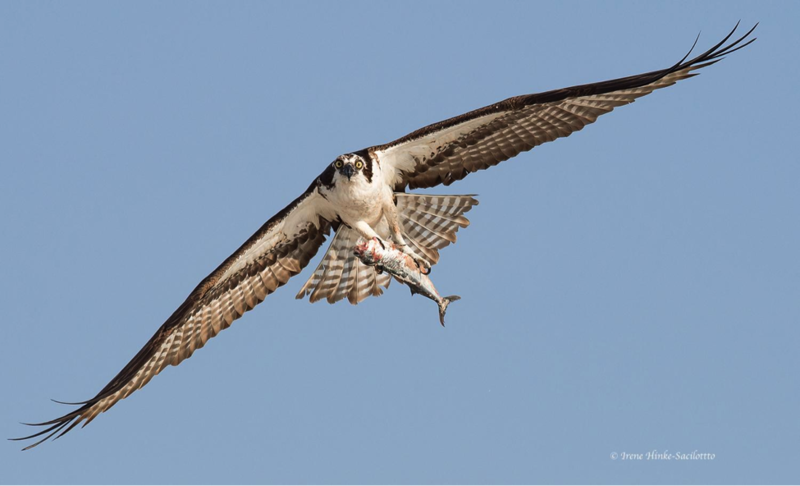 Many osprey also call this area home, and it is common to see them flying overhead with a freshly caught fish in their talons. 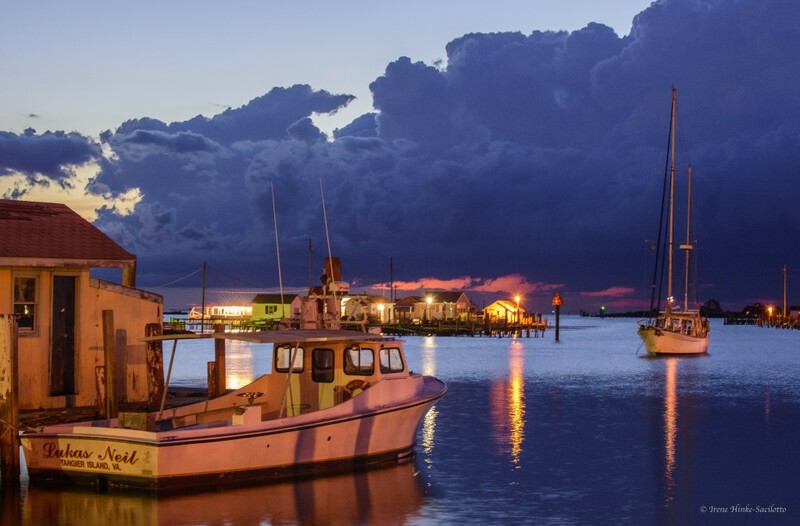 The island community itself is a beautiful and memorable subject for your photos. There are no cars on the island - golf carts are the transportation method of choice - as the streets are very narrow. There are many historical buildings and quaint cottages on the island that offer a glimpse into the past. 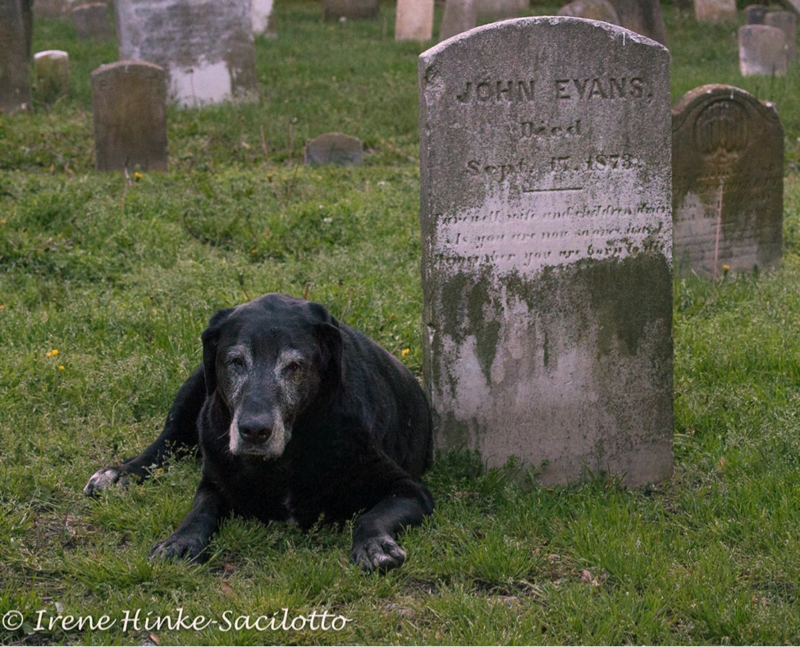 Family burial plots are found in the yards of many homes due to lack of space for a cemetery elsewhere on the island. 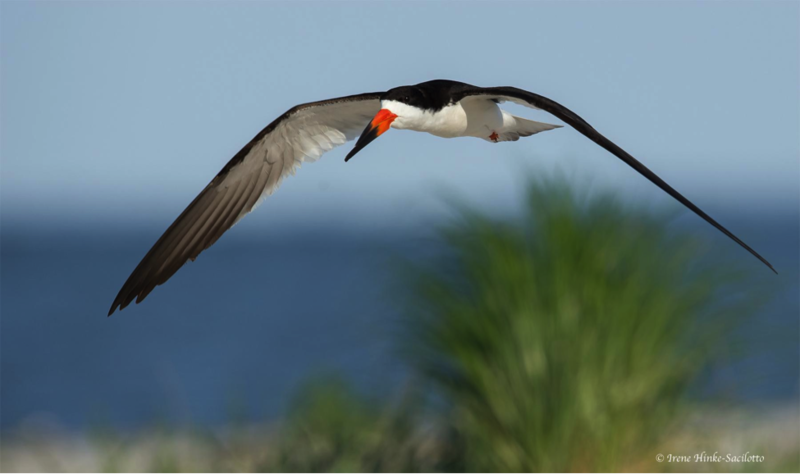 In other words, Tangier Island presents a unique opportunity to photograph abundant wildlife, historical locations, and the friendly locals, all in one spot. 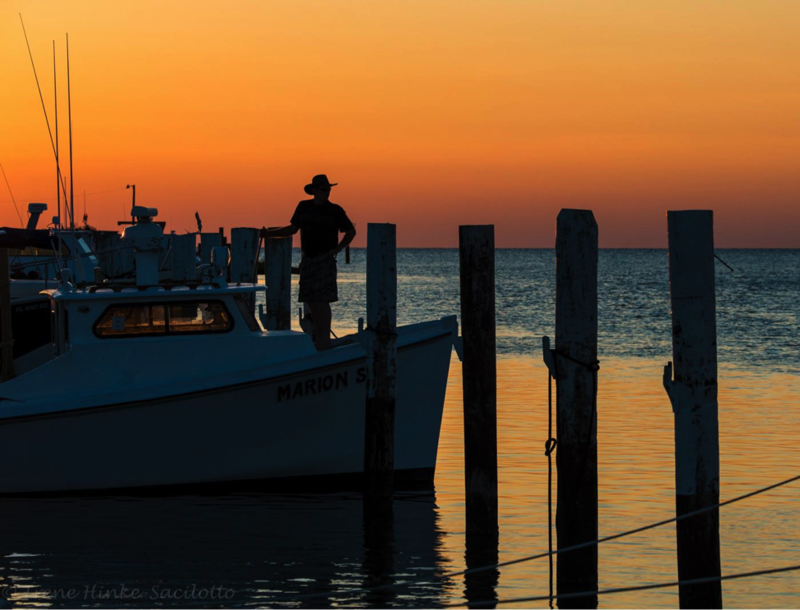 Don't let the small size of Tangier Island fool you - there are innumerable subjects for beautiful photos. 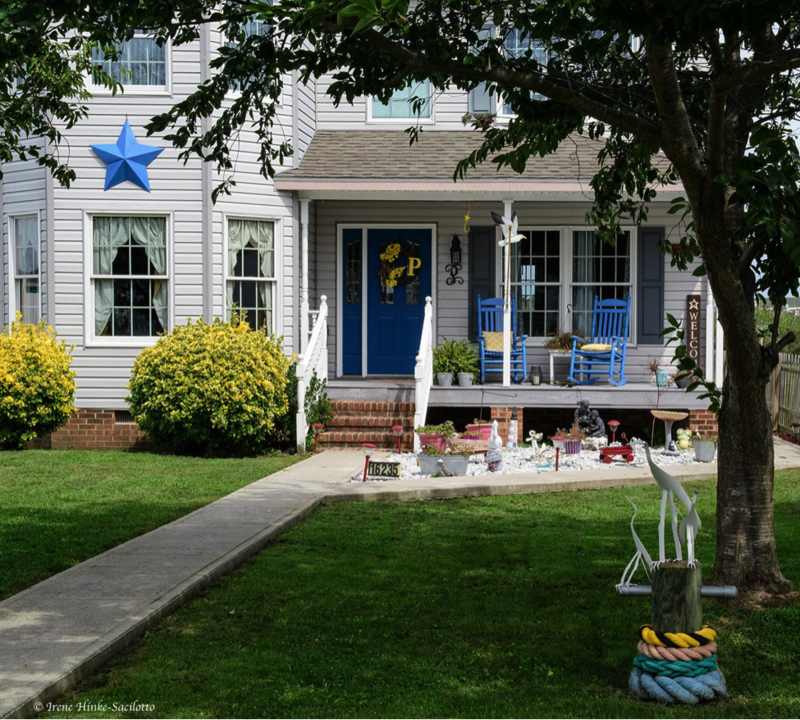 Many can be discovered by a casual stroll down Main Street, driving along the roads bordering the marsh, or an easy hike along the sandy beach. 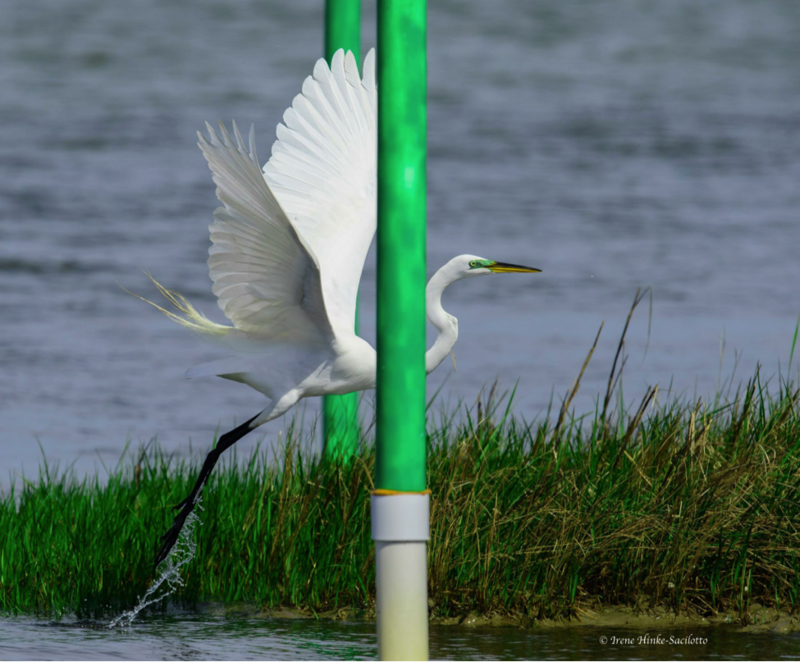 With few trees bordering the waterways, pilings or old crab traps serve as convenient perches for birds seeking a meal. 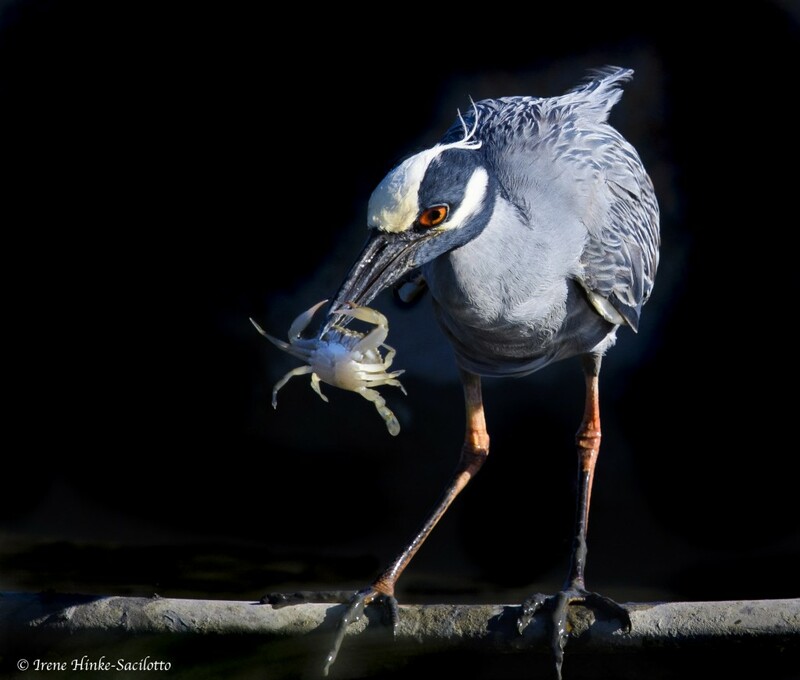 This Yellow-Crowned Night Heron posed perfectly for a photo as it sat on the rim of a sunken boat and consumed the crab it had just caught. 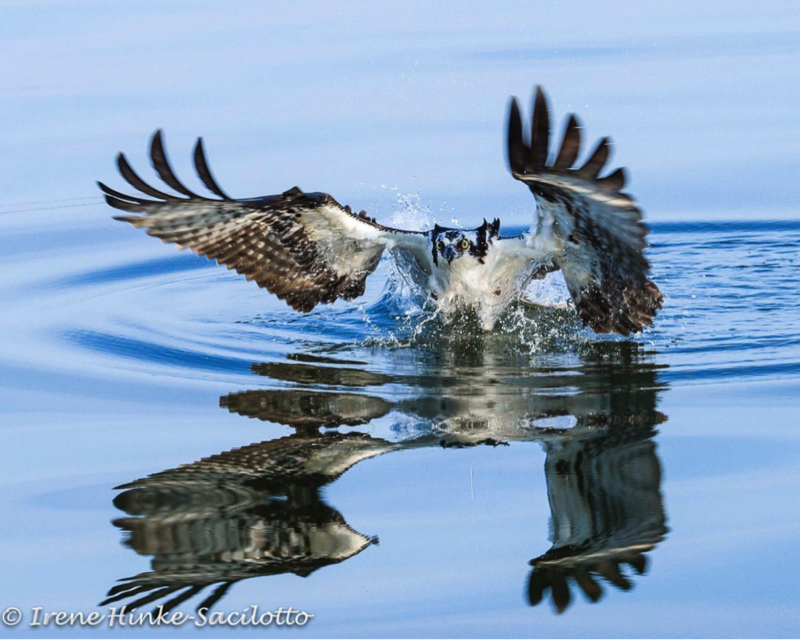 To make the most of your time on the island, consider visiting the area with Osprey Photo Workshops & Tours. 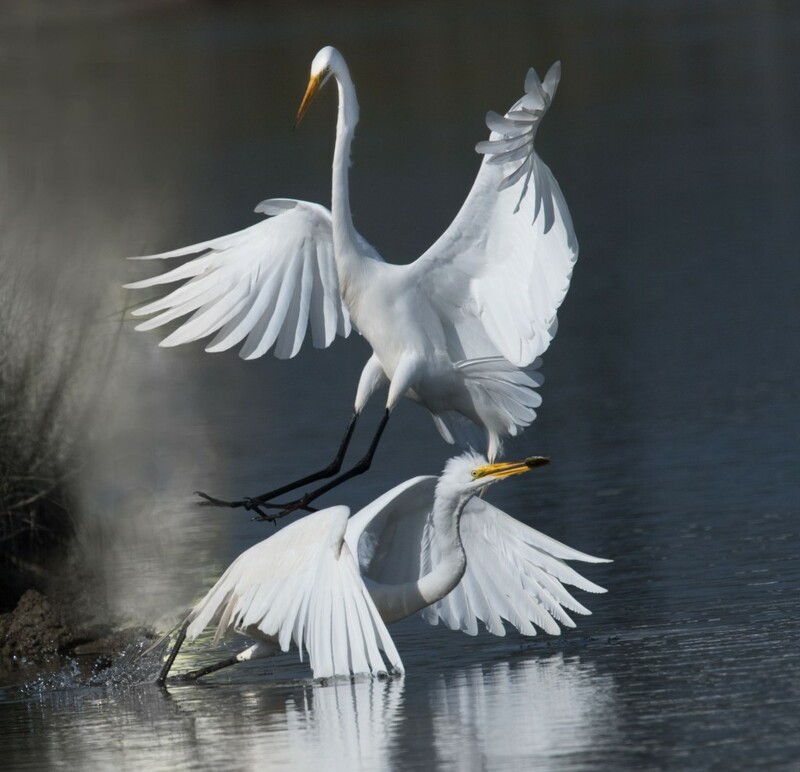 In September 2018, they're offering a weekend workshop that will take you from the interior of the island to the shore, from marshes to lagoons, and even off-shore on a chartered boat to take photos of this magical place. 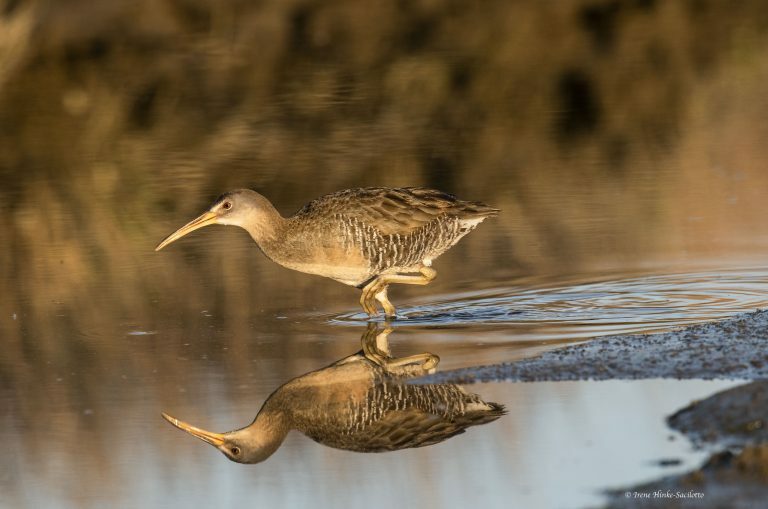 Each day, you'll get up with the sun for a chance to photograph the watermen start their day and get a glimpse of the local birdlife come to life as well. Each night you'll be out to catch the sun setting in the west, and again have plentiful opportunities for photo-taking. 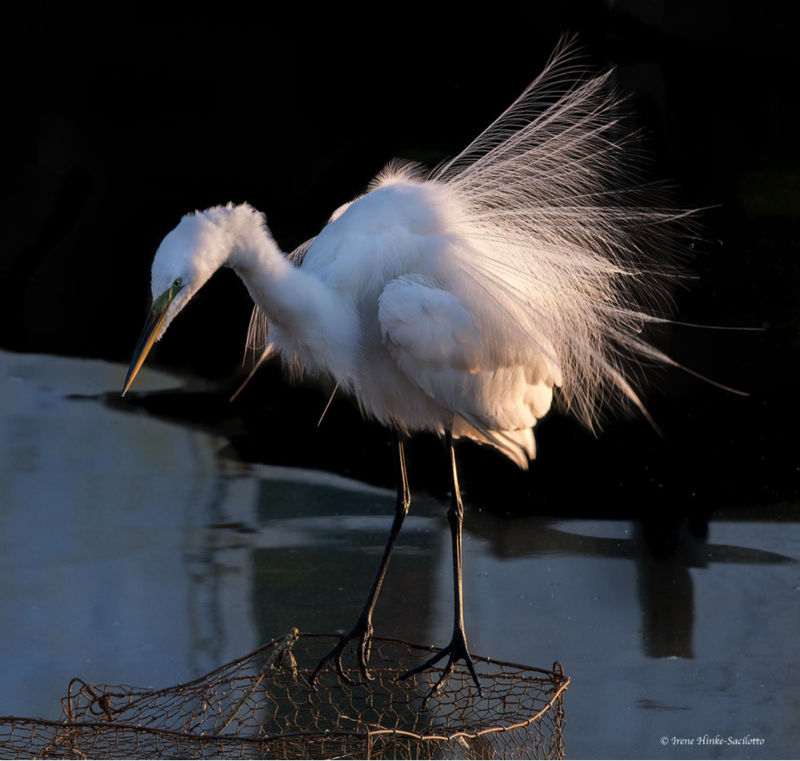 During the day, you'll have time to present your images to the group for review and critique, giving you the opportunity to learn and grow as a photographer with the input from your expert guide and fellow workshop participants. You'll even spend the night on the island in a local bed and breakfast, making it easier to get up early and stay out late with your camera. Perhaps best of all is that this workshop is limited to no more than eight people, so you truly get a small group experience. That also means that you get more one-on-one instruction time with a professional photographer that's intimately familiar with the island. 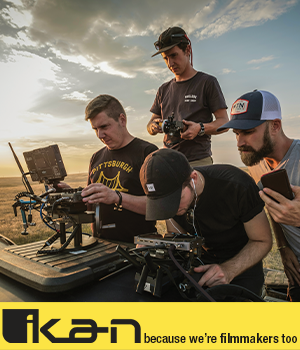 There's no better way to learn photography than by getting expert advice while actually out in the field! 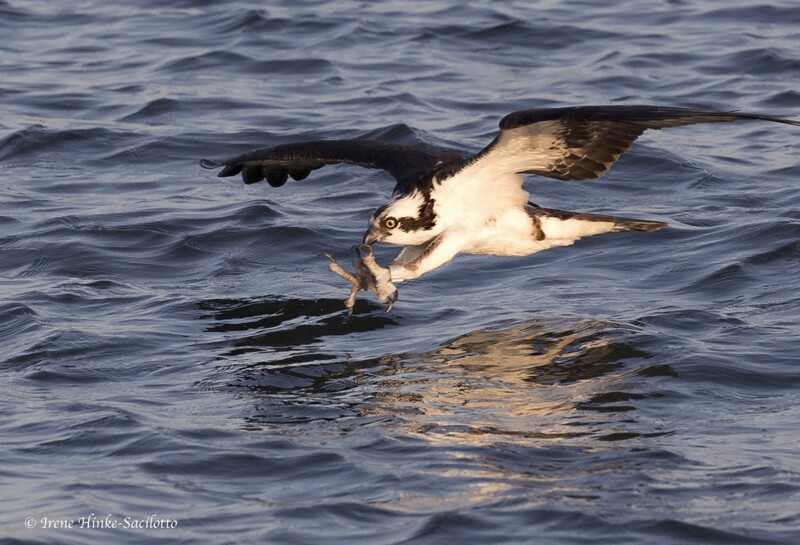 If you want to experience the natural and manmade beauty of Tangier island while also honing your photography skills, consider a trip to the island with Osprey Photo Workshops & Tours this fall!